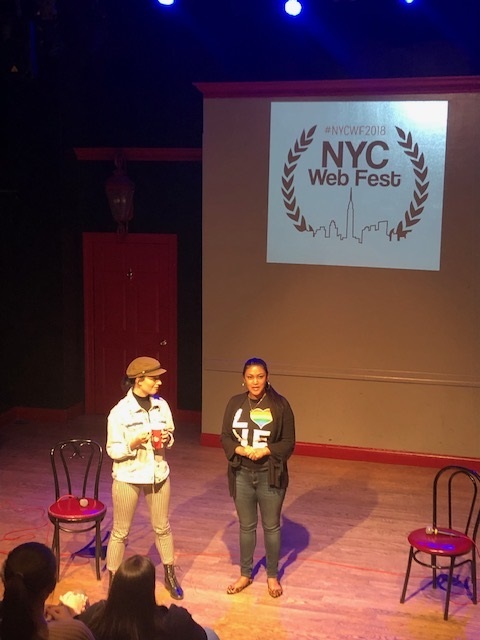 The NYC Web Fest has brought together a multifaceted diverse group of people from around the world to showcase the best of the web. Our goal is to make this festival the premier home for digital producers on an international level. 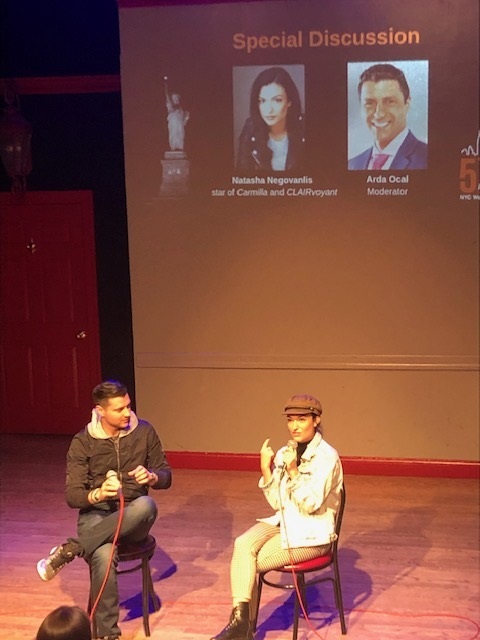 An organic space where creators can showcase their talent, network with other artists, and learn from industry insiders. For the first time in our history, we are accepting pilot episodes into the festival. 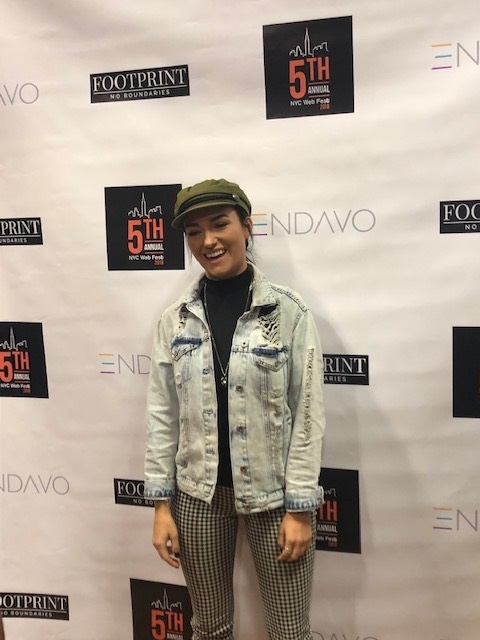 On Saturday, November 10, 2018, audience members were in for a treat to hear from Natasha Negovanlis, the co-creator of the web series Clairevoyant. The series is currently on Kinda TV and YouTube. 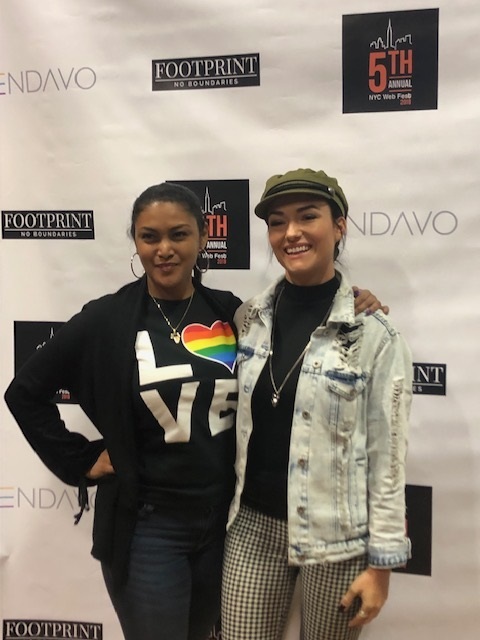 The story of Clairevoyant begins when after receiving an eviction warning on her 25th birthday, Claire and her roommate/best friend Ruby need to make back payments on their rent money and fast. Free-spirited Ruby convinces the responsible Claire that they can con their way into rent-making riches by posing as online fortune tellers called “The Seeing Sisters”. Their fraud seems simple enough until non-believer Claire discovers she has real clairvoyant abilities and things only get weirder from there. Natasha is currently living in Canada and vigorously working for the next season of Clairevoyant. Check out the series on YouTube and stay up to date with Natasha on Facebook, Instagram, and Twitter. vikasvirdi and 7 others upvoted this.